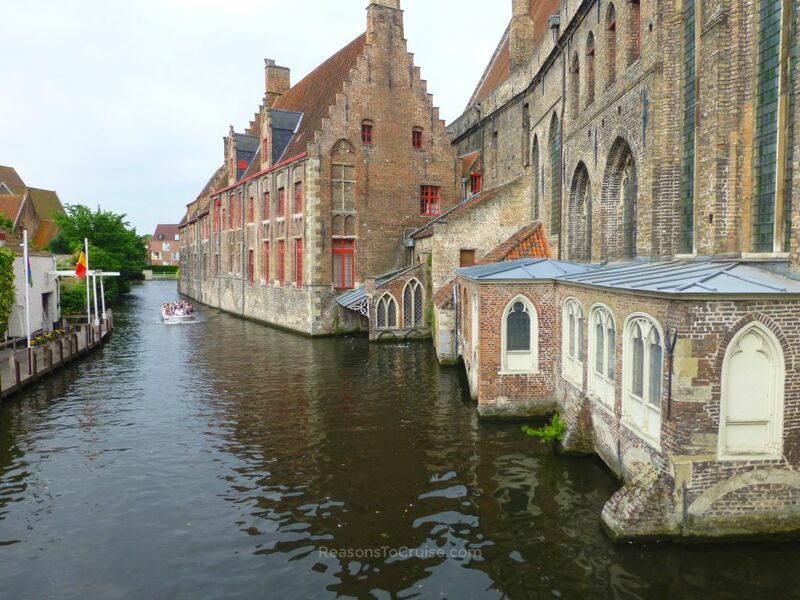 Ocean liner and Royal Mail Ship, Queen Mary 2, swapped its regular transatlantic voyages for a brief jaunt to Bruges. 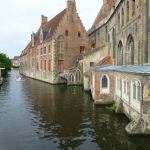 The two-night mini cruise, particularly popular with passengers experiencing the Cunard brand for the first time, was a good excuse to head to Belgium's chocolate Mecca, Bruges. 'QM2' (Queen Mary 2) bears the same hallmarks of the greatest ocean liners ever built, and this is by no accident. 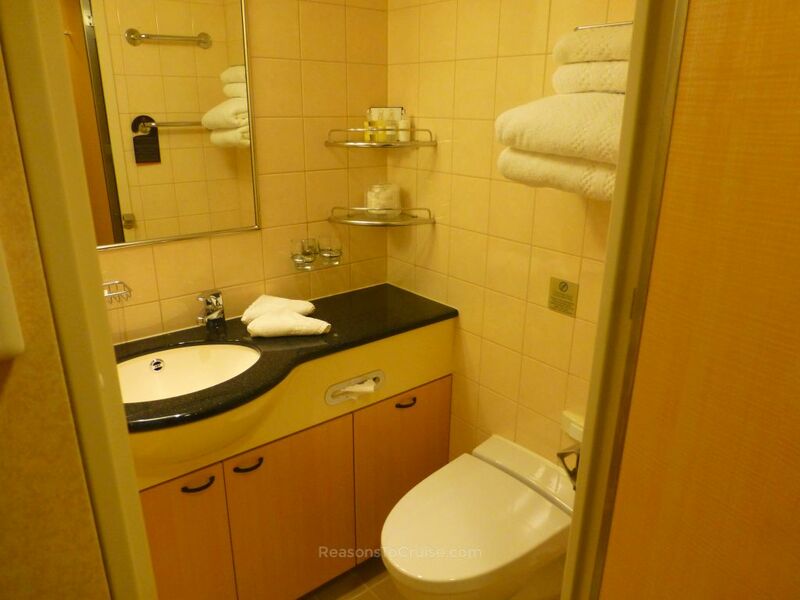 Built as the eventual replacement of the 'QE2' (Queen Elizabeth 2), the architects sought to blend old with new. 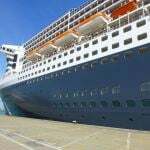 Christened in 2004 by Her Majesty Queen Elizabeth II, the 148,528 gross tonne Queen Mary 2 is the largest ocean liner ever built, capable of enduring the harsh weather encountered on transatlantic voyages between Southampton and New York. 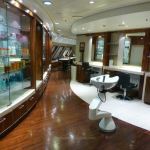 Modern cruise ship efficiencies, such as a bulbous bow to reduce drag, mix with old world charms, such as the continuous wrap-around promenade deck. 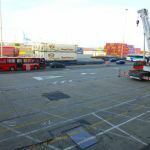 Cleverly placed wind-breakers help to make it easier for passengers to walk around the outer decks of the ship when it is gusty. Contrary to traditional liner design, the layout is similar to many cruise ships, where the public spaces hunker down below, and passenger cabins sit atop, capped with open deck space above. The décor exudes classical elegance, with dark browns, vibrant reds, and cream used throughout. 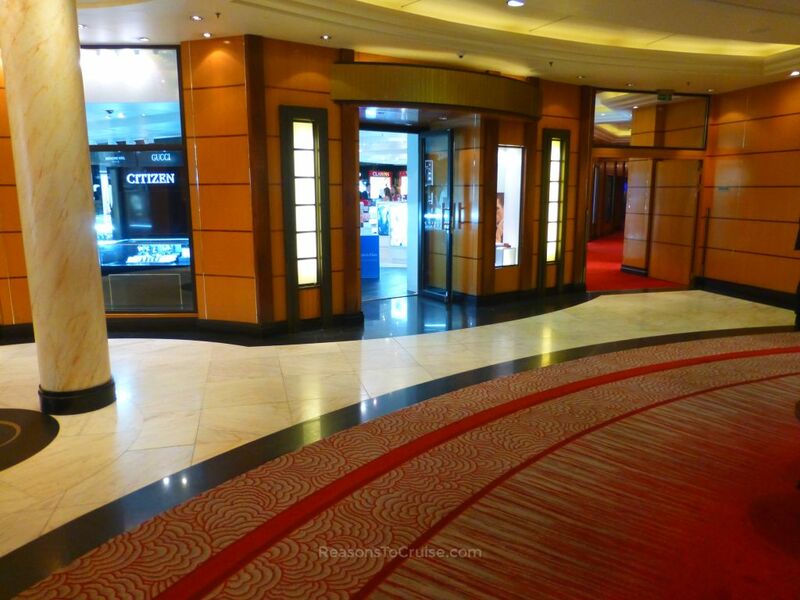 The intricate carpeting stylishly adds colour to darker areas of the ship. Do not be surprised if you take photos of the carpets on your holiday - they are gorgeous. 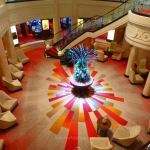 Queen Mary 2 boasts 21 restaurants, bars, and lounges, although it is a challenge to enjoy all of them on a two-night escape. Both the Princess Grill and Queens Grill restaurants are for the exclusive use of Princess Grill or Queens Grill suite guests. 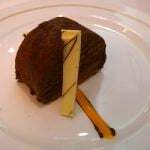 Food in the Britannia Restaurant was excellent, with a good choice of dishes on the menu, elegant presentation, and attentive service. There was no need - nor desire - to upgrade to a speciality restaurant on this trip. All good ships tend to house a British themed pub, so the Golden Lion Pub is right at home here. 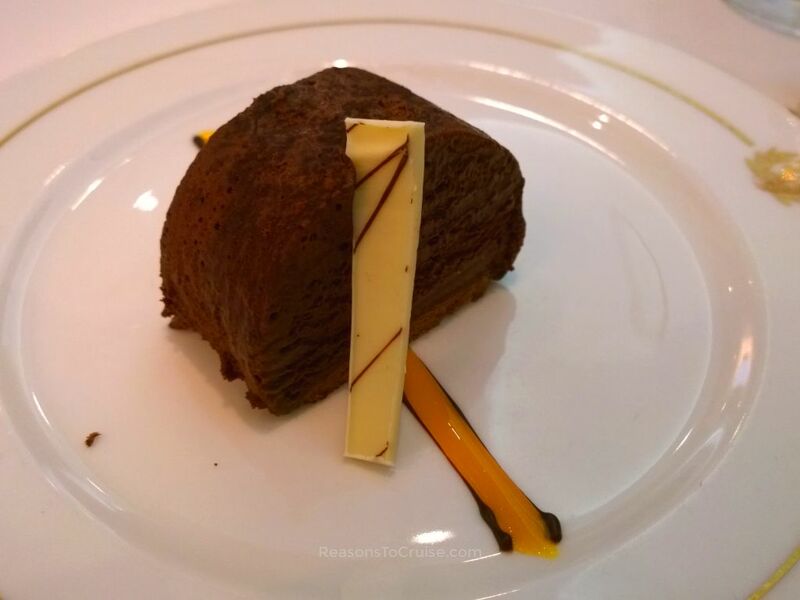 Sir Samuel's café is home to a Godiva counter of pricey chocolate pralines. Both the Carinthia Lounge and the Commodore Club are popular places to relax with a drink or two. 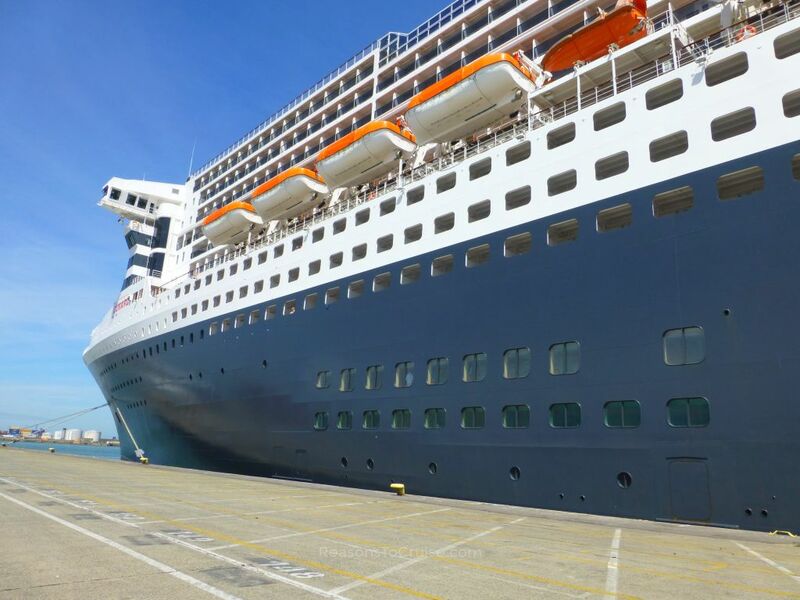 Despite the ship's size, the only time the volume of passengers (up to 2,691 at a time) was noticeable was on the morning of disembarkation. After 8 am the only venue open for food and drinks is the Kings Court buffet which became exceptionally busy. The demand was so great that the adjacent Carinthia Lounge became a temporary cafeteria, with a stream of passengers ferrying food and drinks from the buffet to the lounge. Dress code is a very contentious issue amongst Cunard passengers. 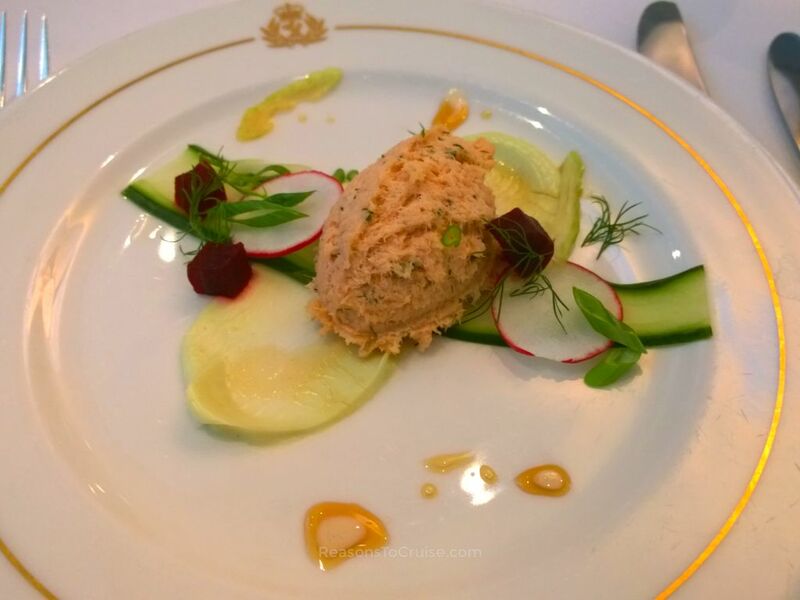 A sailing on a Cunard voyage is a modern day experience with a window into the past. While the cruise line recently relaxed its dress code rules, 'casual' still means a suit with an optional tie for gents, and cocktail wear for ladies. 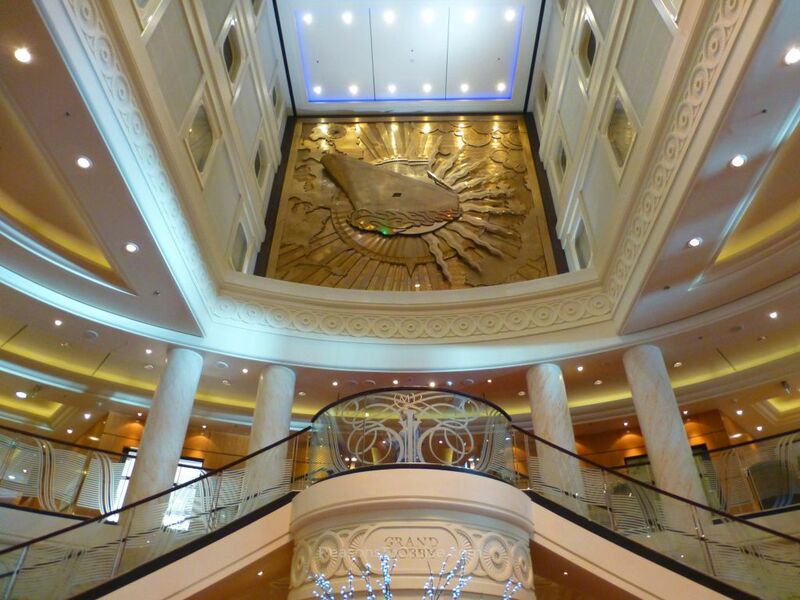 If you do not enjoy dressing up in your finery, you will find very few accommodating areas on the ship after 6 pm. Queen Mary 2 has four pools, with one housed beneath a retractable roof and the other tucked away inside the Canyon Ranch Spa. 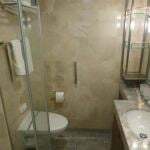 It has some quiet spaces to relax beside the usual setup of treatment rooms. 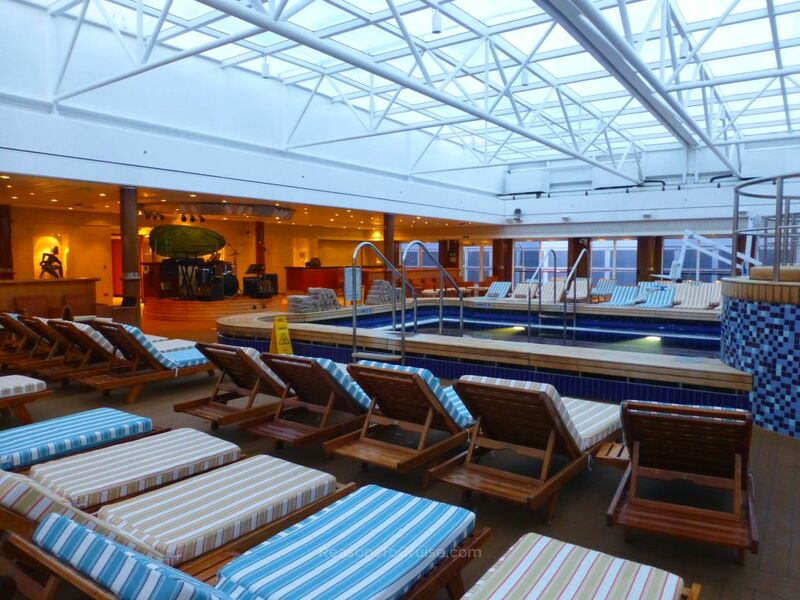 When the sun loungers tuck away, the top decks are very extensive areas. 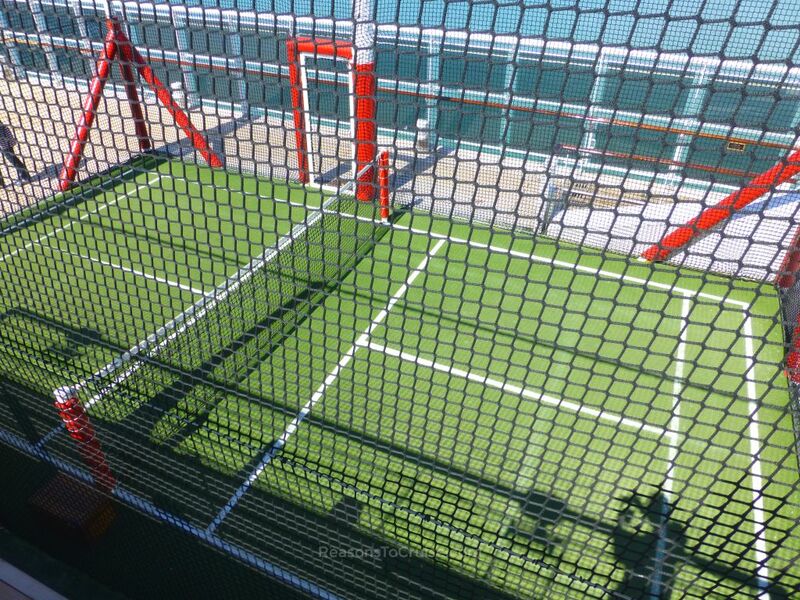 Netted golf and tennis areas sit in a corner. 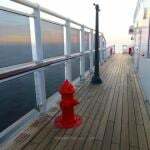 Part of the upper deck is home to the onboard kennels - that's right, this ship has a home for dogs travelling across the Atlantic Ocean with their owners, and some outdoor space complete with a fire hydrant and lampost for the pups to feel right at home. My favourite hideaways are The lookout and the Observation Deck. 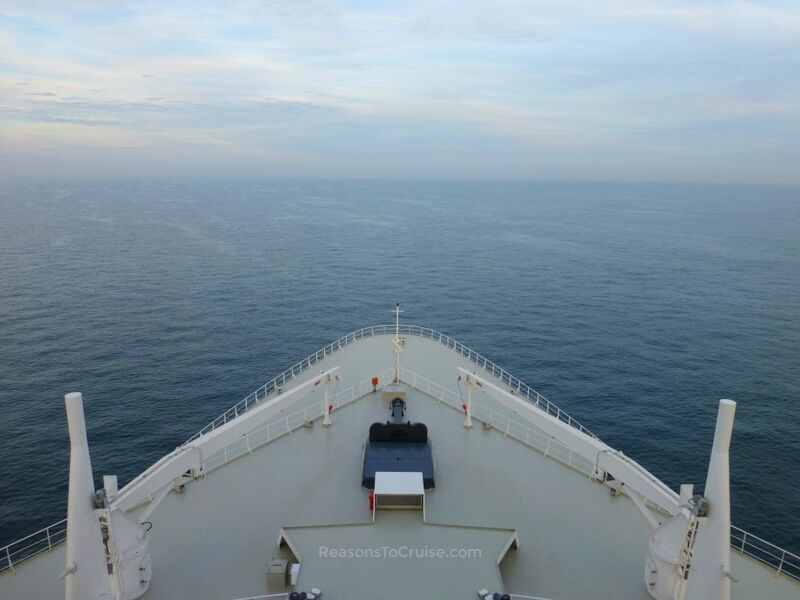 These offer a captain's view of the sea, and a superb photo opportunity looking back along the ship. Downstairs, the atrium is a small area with a vaulted ceiling, surrounded by Atrium View cabins. 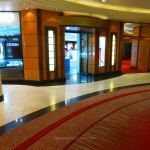 This space is home to the Pursers Office, the Tour Office, and a small casino, all capped with a selection of luxury brand boutiques. The two-storey theatre plays host to live entertainment of a good calibre. Head beyond the Royal Court Theatre, and you will find Illuminations, the first planetarium at sea. On this cruise, it became a movie theatre. The Queens Room, a grandiose lounge by day and a ballroom by night, sits at the rear of the ship, in front of the G32 nightclub. One of the most surprising features of this ship is its library. 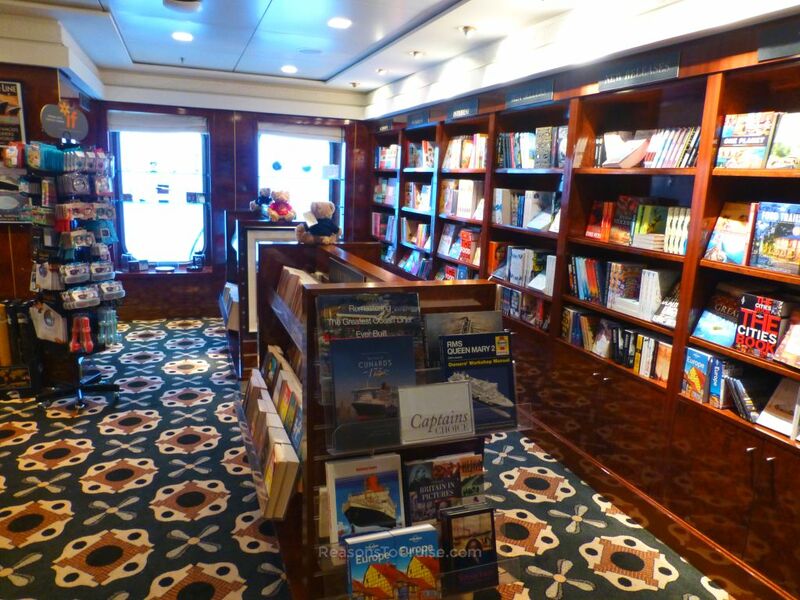 With over 8,000 titles, it is the largest library at sea. 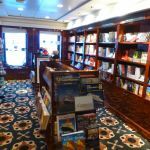 If you fancy curling up with a good book, particularly on a transatlantic voyage, this is the place to visit. There is also a bookshop next door too. 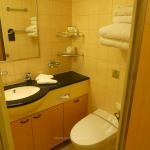 The usual variety of cabins is available, from the pocket-friendly Inside cabin that I stayed in, to the ultra deluxe Queens Grill Grand Duplex Suite. Each cabin comes with a small welcome bottle of wine (or champagne for suites). 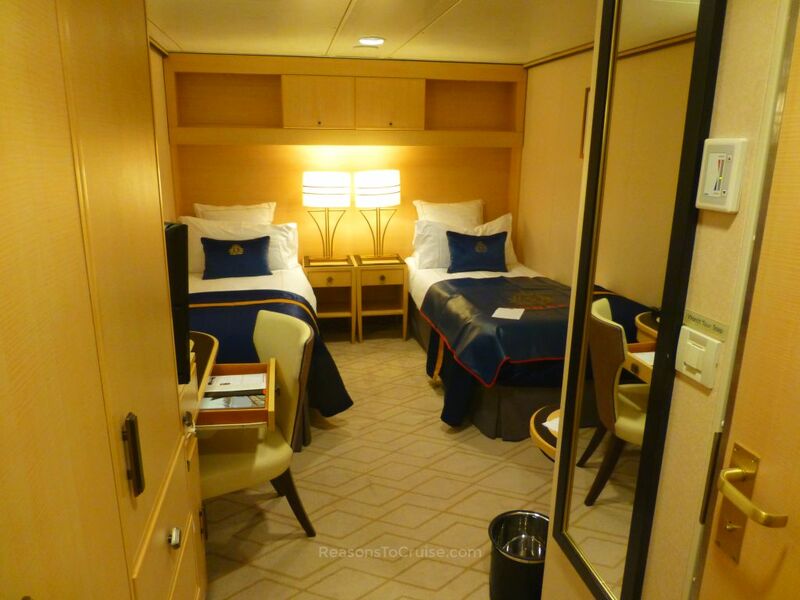 Suites have more perks attached to them, such as priority embarkation, butler service, and canapes. 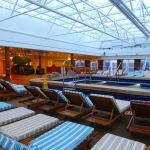 Selected areas of the ship, including the Princess Grill Restaurant and the Queens Grill Lounge, are only available to those passengers that pay to stay in Princess Grill or Queens Grill suites. The hidden gem of a cabin, aside from the extensive duplex suite, is the newly added cabin for sole occupancy. 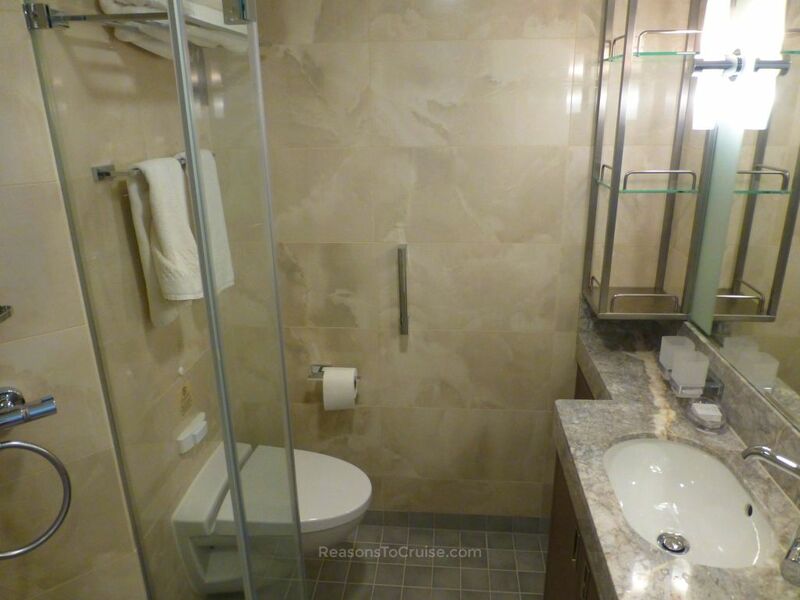 Filling vacant space on the ship, these benefit from large picture windows and lofty ceilings. The décor is modern, making these cabins feel very light and airy. 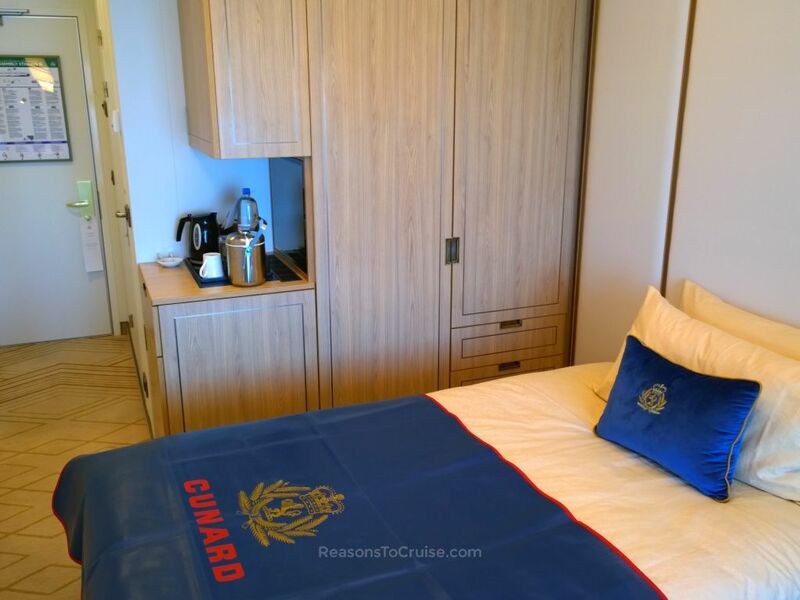 Cunard, rightly or wrongly, has a reputation for attracting the older cruise market. 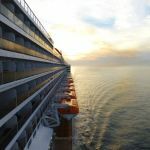 While that may be true on lengthy world sailings - where retirees have the most time available to enjoy these - this is not the case on shorter voyages. Taster cruises attract a broad mix of passengers of all ages and walks of life, many trying the Cunard brand for the first time. 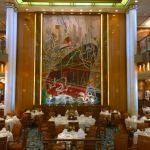 The nostalgia of sailing on an ocean liner is a big attraction. 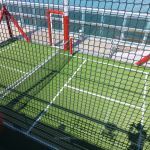 While Queen Mary 2 lacks the family-friendly options other cruise lines boast, the ship does have a Children's Club that cares for up to several hundred children in the height of summer. Staff are friendly and welcoming. Despite his initial shyness, staff coaxed my three-year-old son out of his shell and he enjoyed his time here. 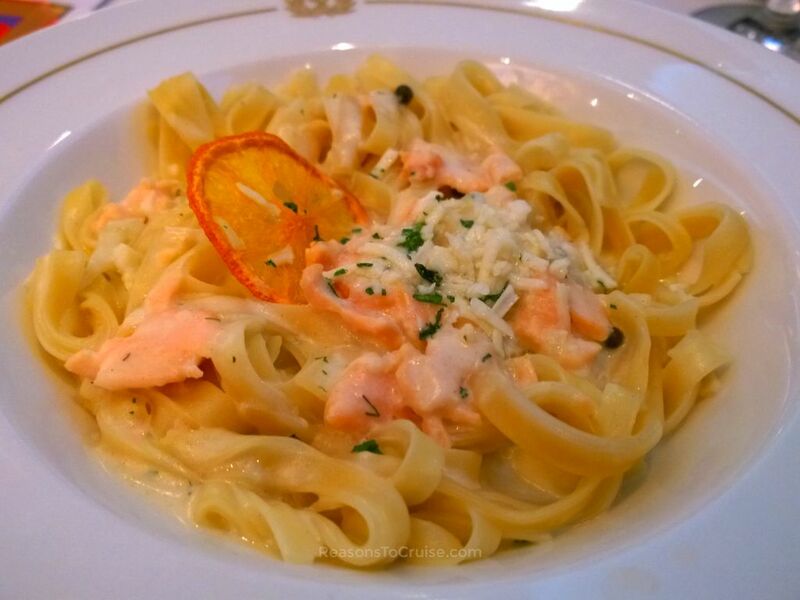 On a short two-night taster cruise, time is of the essence. 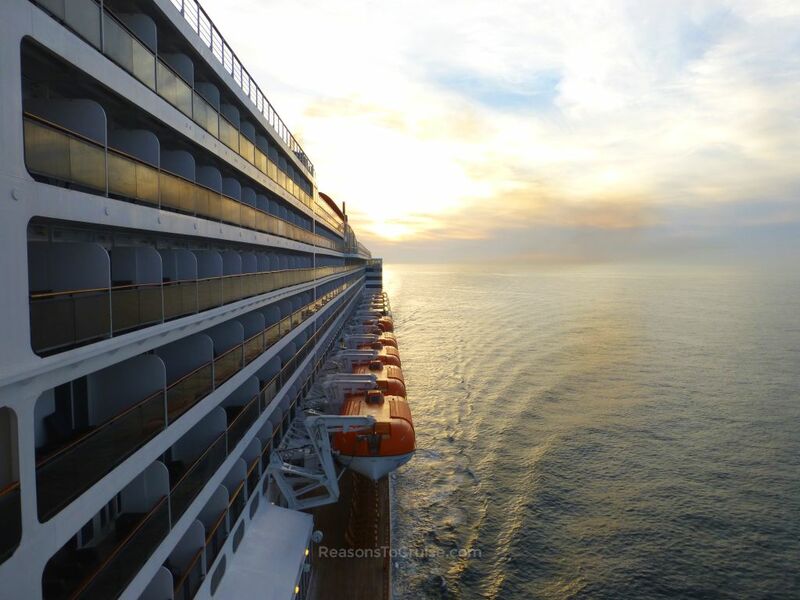 To fully appreciate the cruise line's proposition and the ship, you need to hit the ground running. Cunard threw a spanner in the works with a 3.45 pm check-in time. I turned up a little earlier and luckily, the check-in staff were desperate to hurry people onto the ship. The first evening after departing Southampton is perfect for getting your bearings. I toured the ship from top to bottom, stopping for refreshment en-route. 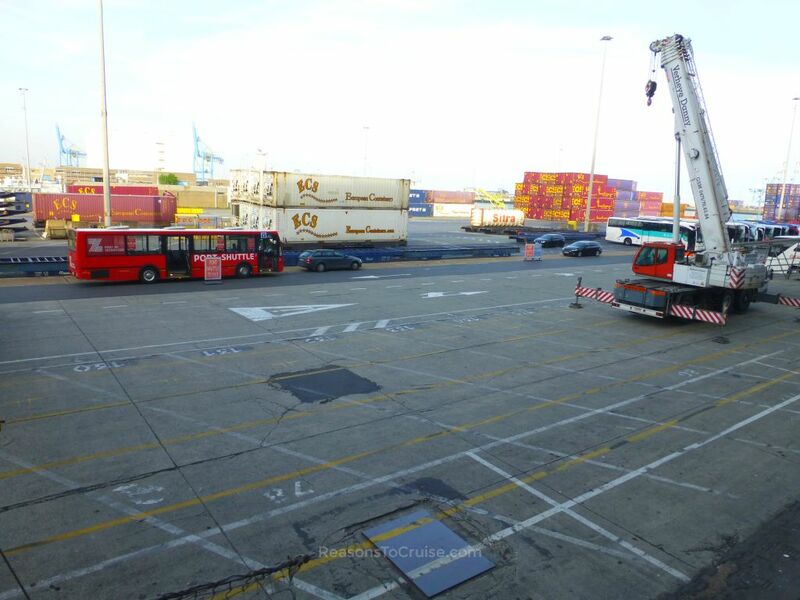 I opted for an early start the next morning, enjoying a buffet breakfast while watching the ship dock in Zeebrugge. As soon as the ship was stationary, I was on the free red shuttle bus to the port gates, and then on a Cruise Express service (€20 (&thickapprox; £18) return per person; free for children aged nine or under) from Zeebrugge to the bus parking area at Bargeplein, near the train station at the south of the city. 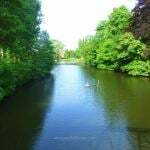 Having visited Bruges many times before, I enjoyed a brisk walk through Minnewater park and into the city centre, ready to stock up on my favourite chocolates. I returned to the ship in time for lunch, leaving the afternoon to enjoy the deck spaces on the ship underneath blazing hot sunshine. The inevitable repacking of my suitcase followed a final evening of entertainment. My allocated disembarkation time back in Southampton was 10 am, so I had planned a lazy breakfast although had to battle with crowds in the Kings Court buffet. 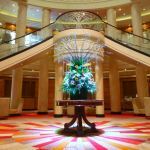 A two-night taster cruise is an excellent way to try Cunard without committing to a longer voyage. 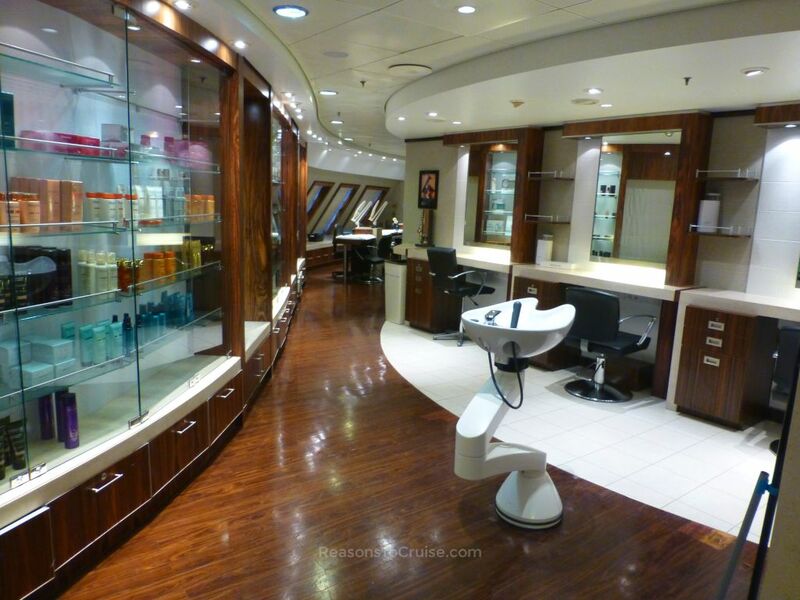 I had enough time to briefly explore most areas on the ship to get a feel for what was on offer. 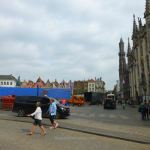 A full day in Zeebrugge meant I could have spent the day in Bruges, Blankenberge, or Ostend if I wished. The hospitality, food, and entertainment on the ship was all superb. I would have gladly stayed on the transatlantic crossing that followed this sailing. 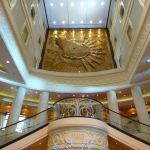 A late check-in time meant I lost a few extra hours enjoying the ship, although I do accept that 2,691 passengers arriving at the terminal at 11 am would have caused more overall hassle. 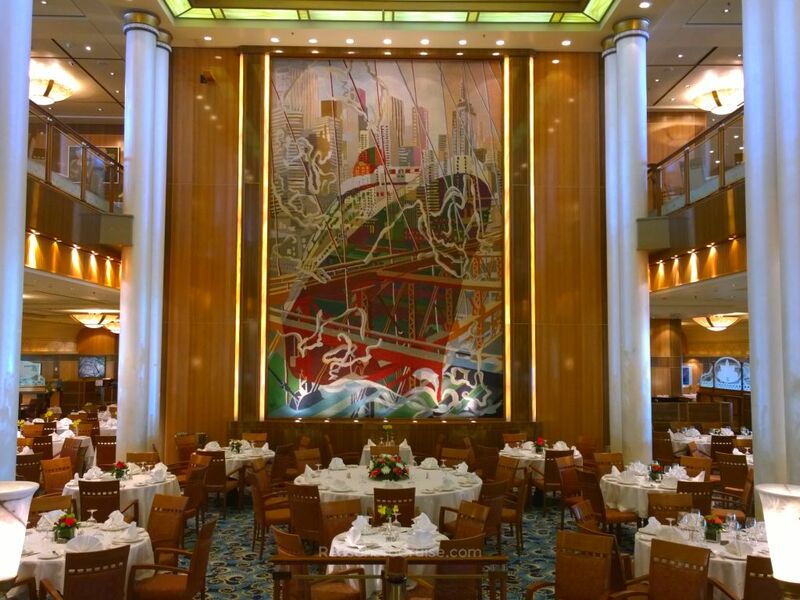 Closing the Britannia restaurant early on the morning of disembarkation and forcing all remaining passengers to head to the overcrowded Kings Court buffet marred what was an otherwise enjoyable cruise. 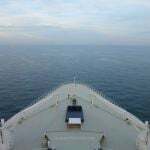 Queen Mary 2 is an ocean liner most at home crossing the Atlantic Ocean. 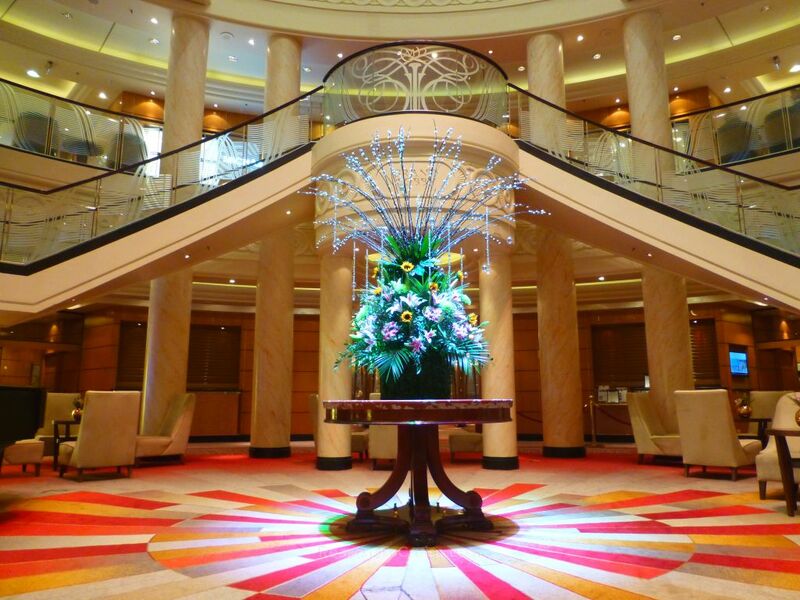 A short taster cruise like this one is enough to give you a good idea of what to expect aboard Cunard's vessels. However, a transatlantic voyage is the only way to appreciate this magnificent ship. I spent two nights aboard and left wanting more. 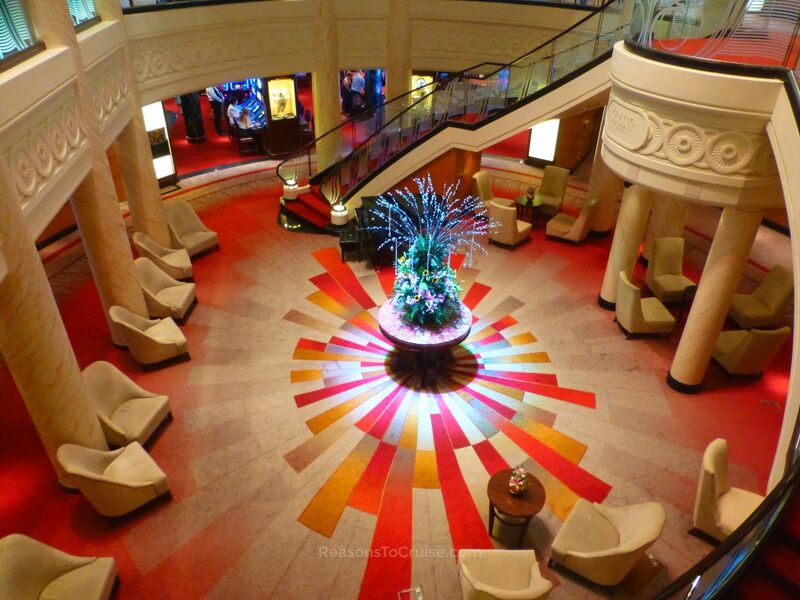 A transatlantic voyage on Cunard's Queen Mary 2 fuses nostalgia with modern comforts. 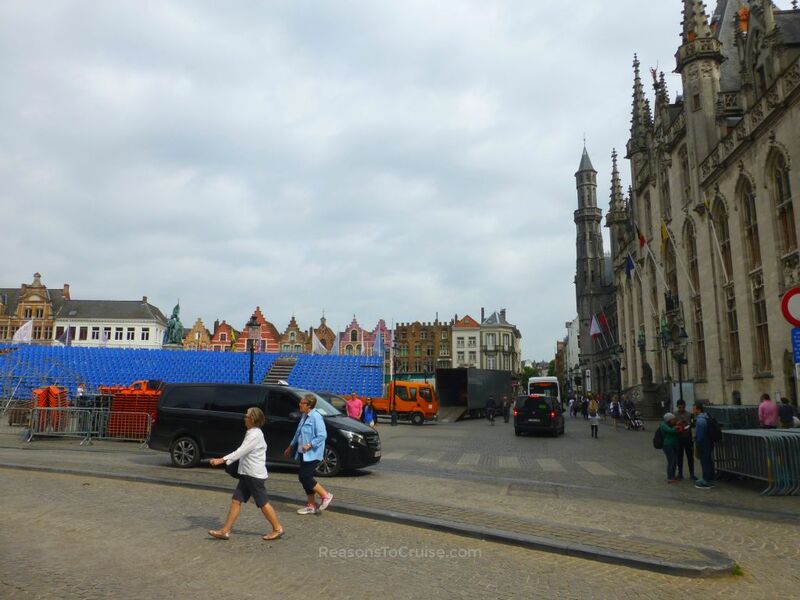 This is stylish, glamorous, and comfortable luxury travel firmly rooted in history. 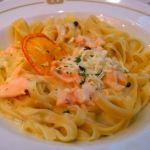 A transatlantic voyage on Queen Mary 2 has now made its way onto my bucket list, and it should be on yours too. 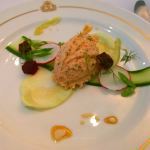 If you have yet to try Cunard, keep an eye on my list of upcoming taster cruises for inspiration. 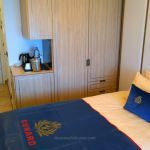 Have you sailed with Cunard Line? Did you enjoy the nostalgic experience? Share your thoughts in the comments section below. 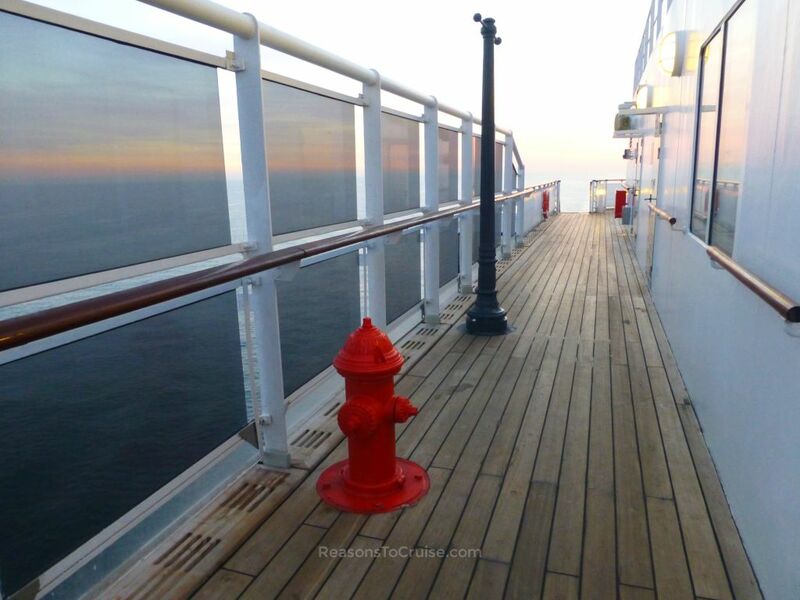 Queen Mary 2 is a fine cruise liner, ideally suited to crossing the Atlantic. 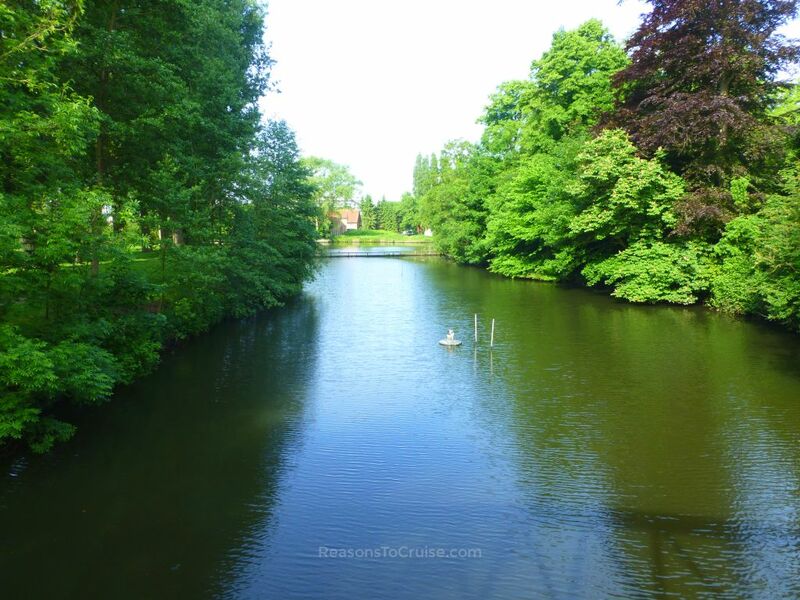 While the mini cruise was short and time aboard was limited, it was a good experience and left wanting to see and do more. 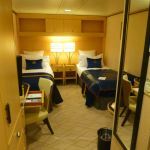 Entertainment is low key, and my inside cabin was fairly standard, but the ship, the food, the hospitality, and the itinerary were all fantastic.